After it was reported that Michael Bay’s reboot of Teenage Mutant Ninja Turtles would adopt a more grounded, logical approach to kung-fu-fighting turtles by making them aliens, the Internet erupted—an explosion that Michael Bay only let get bigger and bigger, as is his instinct. However, he’s now extinguishing at least one firestorm in his life by declaring those earlier reports wrong: “There was that quote saying that we’re making [the Ninja Turtles as] aliens. 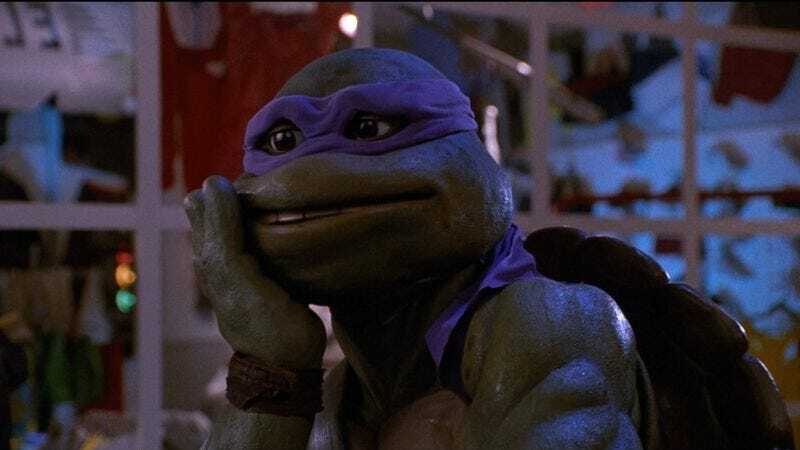 We’re not,” Bay said to Moviefone recently, referencing “that quote” where Michael Bay was filmed saying, “These turtles are from an alien race” on video, and then the many quotes after where he told everyone to calm down and shut up about it.